George Burns was one of America’s favorite entertainers. His long career spanned vaudeville, radio, television and films. With his wife and partner, Gracie Allen, he brought warmth and humor to generations the world over. After her passing, George went on to star in the beloved OH GOD movies and won an Acadamy Award for his performance in THE SUNSHINE BOYS. He continued to appear on stage entertaining audiences well into his nineties. He captures the look, voice and style of this lovable actor and comedian. 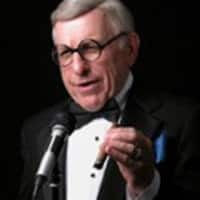 He has brought George Burns to life at the Tropicana Showroon in Atlantic City, on the stage of the Royal Caribbean Cruise Line, and for a variety of groups and organizations. 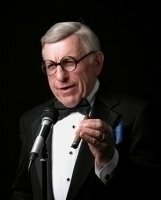 Entertain your guests at your next affair, party or business meeting as he recreates George Burns performing his standup act, or have him greet your guests. You’ll be in for an evening of great fun!